Excited for the upcoming November release of the Wii U? New reports out of China might curb that enthusiasm. 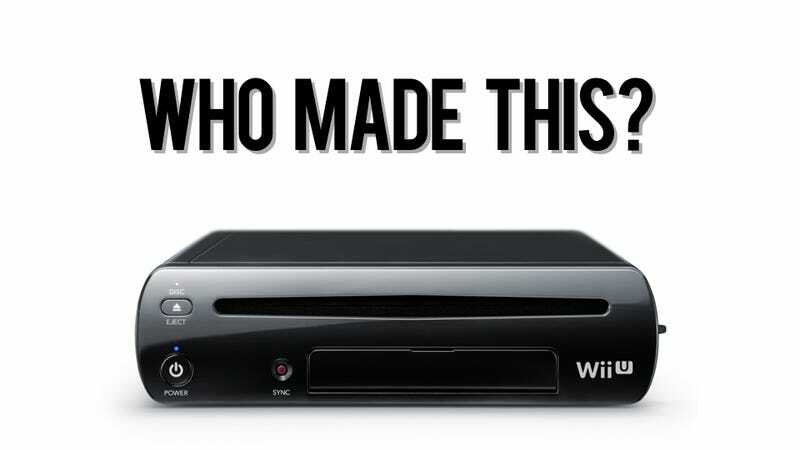 These reports claim that some underage teens were used to assemble the Nintendo Wii U consoles. According to Chinese site Sina, Foxconn, the company hired by Nintendo to assemble the Wii U, confirms that it's had underage individuals working its factory in northeastern China. This report originally surfaced on China National Radio's "Voice of China" program (via Games QQ and China Labor Watch). According to the report, Foxconn's Yantai factory began using students from secondary technical schools in Jiangsu Province in "forced" internships. The students were apparently able to leave at any time; however, their teachers supposedly threatened them, saying "if you don't intern, then you won't get any credit, won't receive a graduation diploma, or may even be kicked out of school." The China National Radio report stated that interns at the Yantai factory worked on the factory floor in production and transportation. "I did transport work, helping them move goods," said 14 year-old Xiao Wang (alias). "Right now, the night shift is 7:40 PM until the morning... you know, til what time in the morning is uncertain. Whenever the work is done is when you get off your shift. If you don't finish the work, he (the production line foreman) won't let you end your shift. Usually, you can get off by 7 AM. My arms would hurt from the work." After working consecutive night and overtime shifts, the report states that Wang asked for sick leave, but didn't get approval and was then fired after registering for "absenteeism", his third. He was allegedly told that he would be kicked out of school, because he was fired from the factory. The China National Radio story also claims that students under 16 had to work overtime, as well as nights. One underage student said that no days off were given. "Our investigation has shown that the interns in question, who ranged in age from 14 to 16, had worked in that campus for approximately three weeks," Foxconn said in an official statement (via Reuters). There were multiple stories (here and here) this summer and fall in China that student interns were being forced to make the iPhone 5 for Apple. It's unclear whether or not these students were underage or not. It's also unclear whether or not these students were actually making the Wii U. According to these Chinese sources, they were. Kotaku followed up with Nintendo, but the company did not respond before this story was published. If the company does respond, this story will be updated. The Wii and the 3DS are assembled at Foxconn plants. The Wii U might have parts manufactured in Japan, but, as this Chinese security firm points out (via NeoGAF), the final assembly is done in China. Nintendo hasn't manufactured hardware in Japan in many years. In recent years, Sony has joined Nintendo in outsourcing its game consoles to Foxconn. "If we were to find that any of our production partners did not meet our guidelines, we would require them to modify their practices according to Nintendo's policy," Charlie Scibetta, Nintendo of America's senior director of corporate communications, told Kotaku in 2010 when asked about its relationship with Foxconn. Nintendo in the past has said it carries out audits on its manufacturing partners. Now, if the Wii U is being assembled at this particular factory like the Chinese press is claiming, how did Nintendo miss this? Does Nintendo really know what's going on at Foxconn? Foxconn has admitted there were underage workers at this factory. The company told Bloomberg that this was a "small number", yet that doesn't seem to make it right. However, the company claimed that this program wasn't going on at other Foxconn facilities. "Any Foxconn employee found, through our investigation, to be responsible for these violations will have their employment immediately terminated," Foxconn told Bloomberg. "We recognize that full responsibility for these violations rests with our company and we have apologized to each of the students for our role in this action." If, and that's if, they were making the Wii U, that's an unsettling notion—that the console could have been built by kids forced to work nights and overtime, just so they wouldn't get kicked out of school. If not, if the Wii U is being manufactured at another Foxconn factory, perhaps Nintendo should start looking for a new partner. Update: Nintendo issued this statement to Kotaku: "Nintendo is in communication with Foxconn and is investigating the matter. We take our responsibilities as a global company very seriously and are committed to an ethical policy on sourcing, manufacture and labor. In order to ensure the continued fulfillment of our social responsibility throughout our supply chain, we established the Nintendo CSR Procurement Guidelines in July 2008. We require that all production partners, including Foxconn, comply with these Guidelines, which are based on relevant laws, international standards and guidelines. If we were to find that any of our production partners did not meet our guidelines, we would require them to modify their practices according to Nintendo's policy. For more information about Nintendo's Corporate Social Responsibility report, please visit http://www.nintendo.co.jp/csr/en/index.html."